Did you know when a patient undergoes trauma, he/she encounters a series of injuries which cannot be handles by one speciality alone? It needs multiple superspecialists working on the patient at the same time, taking crucial life-saving decisions. 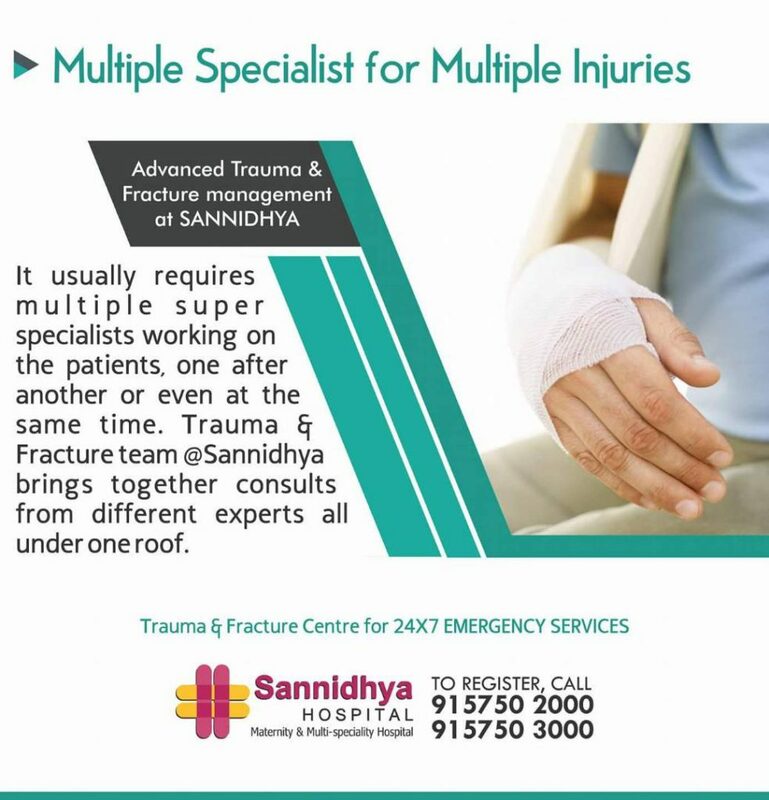 At Sannidhya Sannidhya Multi Speciality Hospital South Bopal Ahmedabad, we have experts trauma team to manage any extremity of cases. It is equipped with advanced infrastructure and backed by a proficient medical squad offers 24×7 comprehensive care including clinical and therapeutic services for all kinds of emergency. For more information Consultant our Senior Consultant MS Trauma Specialist and Orthopaedic Doctors.